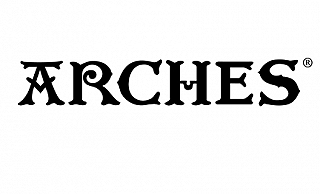 Arches traditional printmaking papers have been the world standard for centuries. One of the exciting features of the Arches papers is that when you use the, you are using papers that have been used by famous artists for over 400 years, including Van Gogh, Chagall and Picasso. Cylinder mould-made, acid free and buffered, these exceptionally beautiful papers can be used for drawing, printmaking, multimedia techniques and alternative processes. A complete range of papers is offered each with its own special character, each one suited especially for certain techniques. Arches Watercolor Aquarelle Natural White Hot Press Smooth is a professional grade watercolor of the highest quality. Cylinder mould made in France of 100% cotton, with natural gelatin sizing, this 140 lb. (300 gsm) paper is acid free and buffered. Flawless textured surfaces in bright white color. Produced without optical brighteners or bleaches. It is an exceptional all around paper for most traditional and historical photographic processes except for platinum/palladium printing. Besides for watercolor painting, this paper works wells for acrylics, gouache and printmaking. 11x15 sheets may have a watermark or limit number of deckle edges.